Typically, my first draft is the foundation for my story. The facts, figures, characters and scenes may change a bit, but the underlying story stays the same. 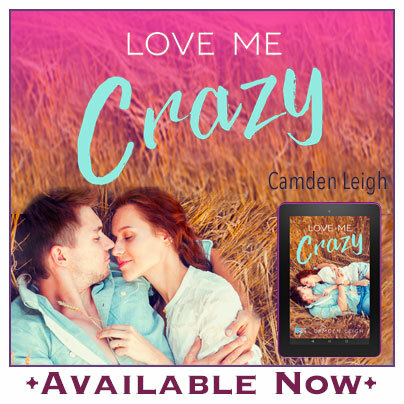 For LOVE ME CRAZY this was not the case. My first draft told a much different—and darker—story. And as editing goes, scenes get rewritten, cut and bulked as needed. 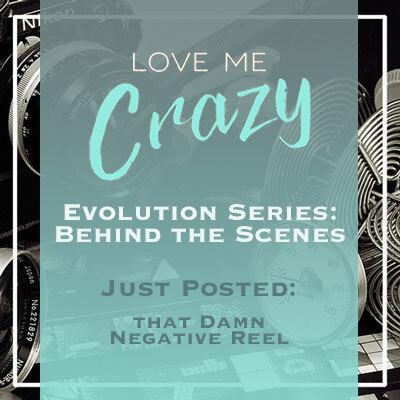 With that in mind, I give you the Evolution Series for LOVE ME CRAZY—a ten-part series I'll release over the next ten weeks. 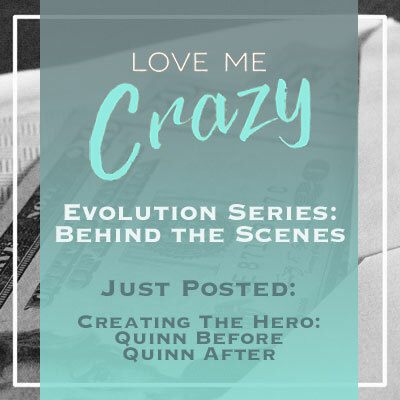 I'll be posting a new tidbit or fact about what went in to writing LOVE ME CRAZY. The ideas, the characters and even cut scenes are brought into the limelight...if only for a single post. Every week, one of the photo links below will be made LIVE and will take you to the newest "behind the scenes" fact. Also available on Audible for your listening pleasure! Join and be the first to read about new releases, cover reveals, contest and exclusive content (disclaimer: dog photos included).